We train weekday evenings and host weekend seminars throughout the year. Want to give it a try? Just drop-in – we welcome visitors! You can also email us or call Conan on 01273 805667. Please note that we do not offer childrens classes (under 18) but we can recommend a few other clubs in town who do: Ittaikan, Airenjuku, Ki Society. Congratulations to both Thai Vo and David Ortiz for passing 3rd Kyu yesterday, and rather well too! Congratulations to Nibras for passing 5th kyu yesterday. Great work! All students: Insurance is up for renewal before October. Please bring along your £10 annual renewal fee to your next session. September means gradings! Check out the syllabus and let us know in class if you want to do a full-grading, or would prefer to do a mock if you feel you need more time but would still like to gauge your level. Aikido is a modern martial-art that continuously develops natural, harmonious reflexes to prevent or neutralise violence when it confronts or tempts us. The name itself roughly translates to The Way of Harmonising Energy. Developed in Japan by Morihei Ueshiba [Wiki] during the last century, the spirit of his teaching evolves today through many who have been inspired by his skill and philosophy. At Brighton Aikikai we are particularly influenced by Christian Tissier [Wiki] – a prolific teacher of the art in Europe – and our club is lead by Phil Rozier, 5th dan Aikikai. From self-defence to self-development, there are many reasons to study. But the Aikido is always the same; to work on principles of movement, awareness and coordination through the study of various connected martial forms. Aikido is not easy. Progression takes time and patience even for those with natural ability. Yet it's fascinating, enjoyable, and accessible to anyone. It also an opportunity to travel. We train at home and abroad. Meeting new people in new places is all part of the experience. Beginners are welcome! Our classes cater to all levels and your first 2 weeks of training is free. 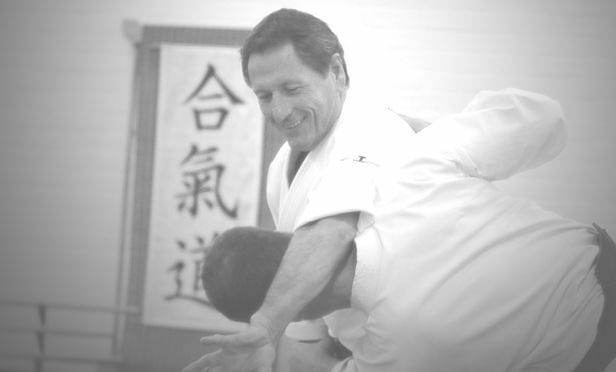 Phil started Aikido in 1998; a time when the club was already affiliated to Tissier Shihan through Pascal Durchon. Hooked by the enjoyment of practice, he committed to regular training in the UK, Europe and Japan. Influenced by Tissier, but with a keen interest in Seishiro Endo [Wiki], Phil is our Technical Director, ensuring our standards are held in accordance with the Aikikai. A mainstay of the club for more than 20 years, Jon has studied under many of Brighton Aikikai's teachers, from Rick Smaridge (now running South Devon Aikikai), to Jeff Balmer and Mark Hale. 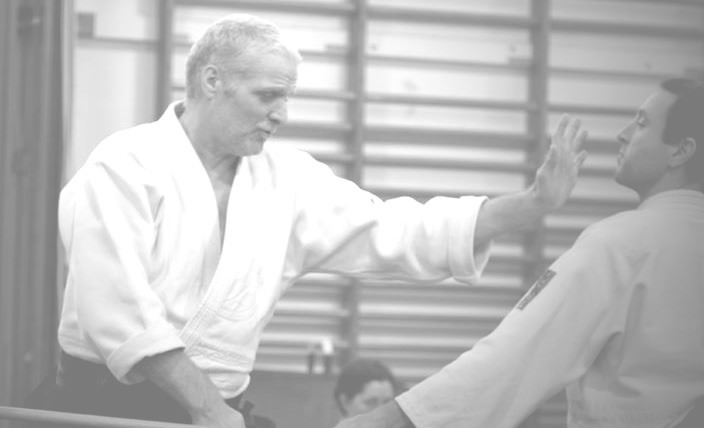 Experienced, but not held back by dogma, Jon offers unique insights into the various methods of teaching the club has seen over the years. Conan was introduced to Aikido and Brighton Aikikai in 2007. Fascinated, he attended nearly all classes on offer, and soon started taking part in local and overseas seminars. Conan owes much of his development not only to fellow teachers and students of Brighton, but to Jeff Balmer and Frank Slama, who formerly ran a club in Crawley. Marco began training in 1992 and graded to Shodan with the NAF in 2003. After a long break he returned to Aikido in 2011 specifically to study under Phil Rozier and Jeff Balmer, and to follow Tissier Shihan's teaching, deciding to re-grade to Shodan with the Aikikai in 2015. He is a strong advocate of teaching fundamental principles such as stance, balance, connection and movement: solid foundations for everyone to develop from. The BAB is the only Aikido representative in the U.K. that is recognised by the Government's Sports Council. As a member you can train in any other BAB certified dojo with the confidence that you are, at the very least, insured to practice. However, while it does promote quality Aikido, it is not within the remit of the BAB to curate every style for its authenticity or practicality, nor to actively regulate the teaching methods of any particular club. Aikido is an expressive martial art, and there are as many ways to teach it as there are people who study it. The BAB understands this, so it focuses on the broader aspects of adminstration, insurance, and encouraging good coaching principles. It is an important part of Aikido in the U.K., but belonging to the BAB is only part of the story. With myriad styles to choose from but no absolute arbiter of quality, to whose standard should you hold your chosen club to? The only sensible answer is; your own. Of course, if you are a beginner it is difficult to know if what you are studying is right for you. It is an unfortunate fact that many people train for years before realising another style might suit them better. So be inquisitive, ask questions, and make your own judgements about the quality of teaching you are receiving. The least we can say we have no desire to hold our students honour-bound. We offer our studies to anyone wanting to learn and appreciate that people come and go. But while you choose to train with us we hope you find the experience as enjoyable and fulfilling as we do. 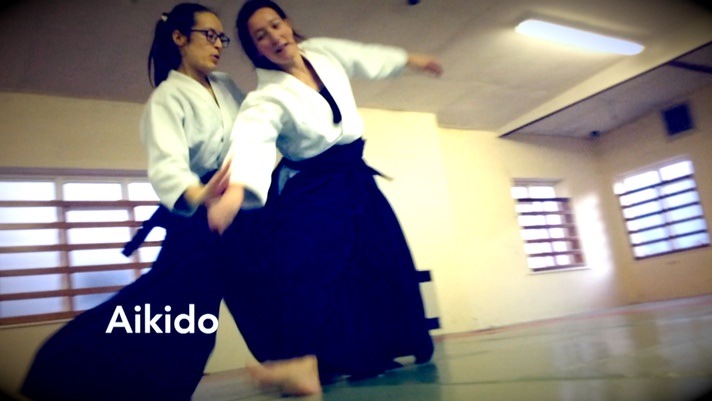 There is a lot to learn in Aikido, so to give newcomers a more complete sense of what training is all about we offer 2 weeks of lessons for free. If you like it, 2 months more is just £40, with the aim of helping you to afford the uniform (not required!) and insurance (required!) Beyond that we offer a range of daily, monthly, or yearly fees, plus termly student discounts. A set of loose-fitting trousers and an old t-shirt is fine to start with! Even for a few weeks or months. After that, if you want to enjoy your practice fully then there are many places you can buy the uniform and equipment from. For ourselves, we have shopped with Nine Circles many times without disappointment, so we've included a few links to their products here with approximate prices. Please let us know if you plan on buying anything. Bulk-orders help to save on shipping costs! 5th kyu is the first grade, and with regular practice (that means around 3 lessons a week!) it will take around 2 or 3 months to learn the roles of attacker and defender. The syllabus is full of complicated words that won't mean much to newcomers, but don't worry; you'll pick them up naturally as you progress. for the basic techniques of Ikkyo, Irimi nage, etc. for the basic techniques of Shiho nage, Kote gaeshi, etc. for the basic techniques of Shiho nage, Tenchi nage, etc. Once we start getting familiar with the forms and shapes of Aikido, we can start to develop a deeper understanding of what we're doing through the study of its principles. Pictures and videos can be useful study tools, but they're nothing without the real experience. We hope to see you in the dojo!